A song about the joys of thrifting is currently the No. 2 most popular song in America, according to Billboard’s Hot 100 music chart. It’s also the nation’s leading R&B/hip-hop song, reigning rap song, and the most requested digital, streaming, and on-demand song.. A collaboration between Seattle-based rapper Macklemore and his producer Ryan Lewis, and featuring vocals from Waz, “Thrift Shop” is the fifth and final single from their album, The Heist. In the song, Macklmore rages against designer labels and $50 shirts, preferring to don “granddad’s plaid button-up shirt,” secondhand “flannel zebra jammies,” and a “doukie brown leather jacket that [he] found diggin’” at Goodwill. A song about the joys of thrifting is currently the No. 2 most popular song in America, according to Billboard's Hot 100 music chart. 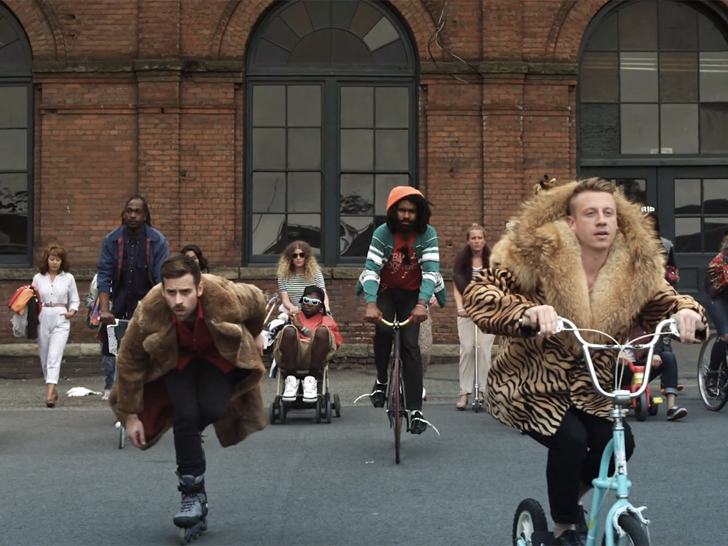 It's also the nation's leading R&B/hip-hop song, reigning rap song, and the most requested digital, streaming, and on-demand song.. A collaboration between Seattle-based rapper Macklemore and his producer Ryan Lewis, and featuring vocals from Waz, "Thrift Shop" is the fifth and final single from their album, The Heist. In the song, Macklmore rages against designer labels and $50 shirts, preferring to don "granddad's plaid button-up shirt," secondhand "flannel zebra jammies," and a "doukie brown leather jacket that [he] found diggin�" at Goodwill.